Location: Wayne State University, Student Center Building. 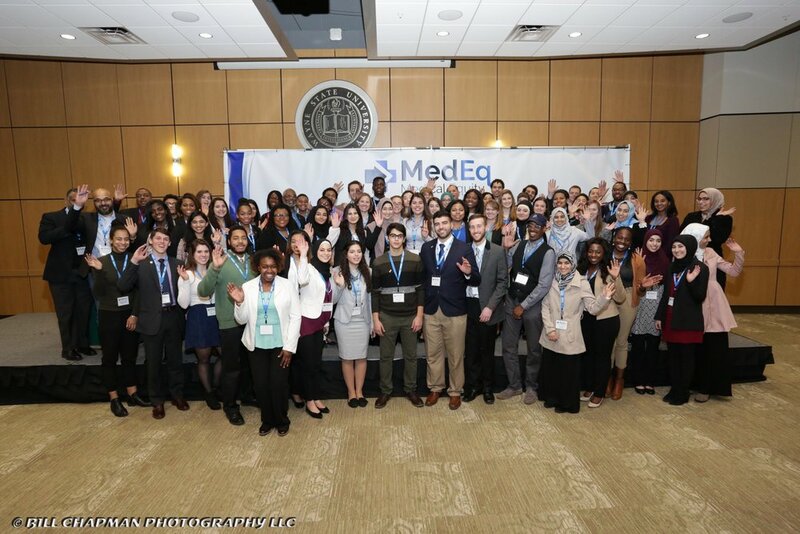 Date and Time: Sunday April 14th, 2019 from 9:00 a.m.- 5:00 p.m.
Students are welcome to start their own MedEq Student Chapter at their College or University. Simply think of a disparity that you care about alleviating in your community and submit the Start a Chapter Form. As a registered chapter you are eligible for funding! Learn more below! Students are encouraged to submit a proposal about a health equity related cause or community project they would like to pursue. The MedEq team will either fully fund for you or use our nonprofit outlets to fund raise for you. Let us help you make your ideas possible!